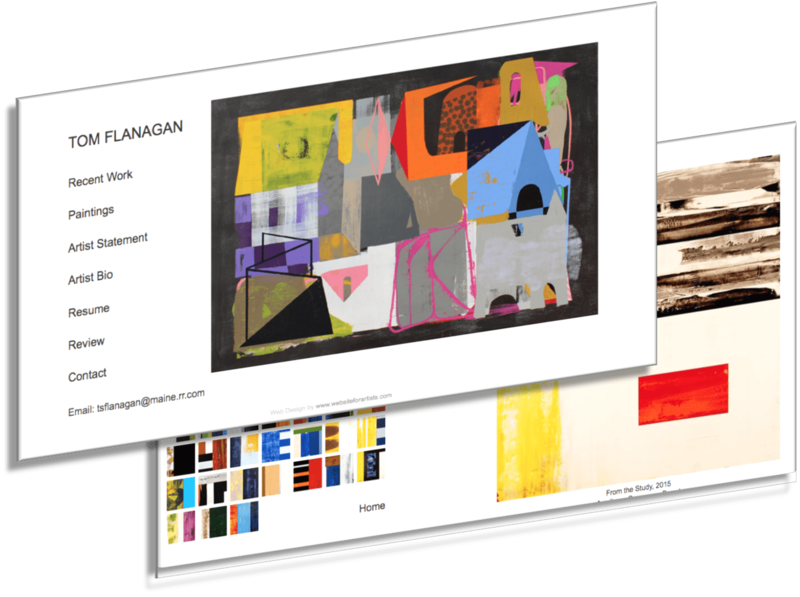 When a local artist came to us to revive his website, we were more than happy to help! Thomas has started as most small businesses, with ‘just enough to get by’. But now he was ready to take things to the next level. As a contemporary abstract painter, Tom wanted to be sure that his art and creativity were highlighted in a modern, bold way. 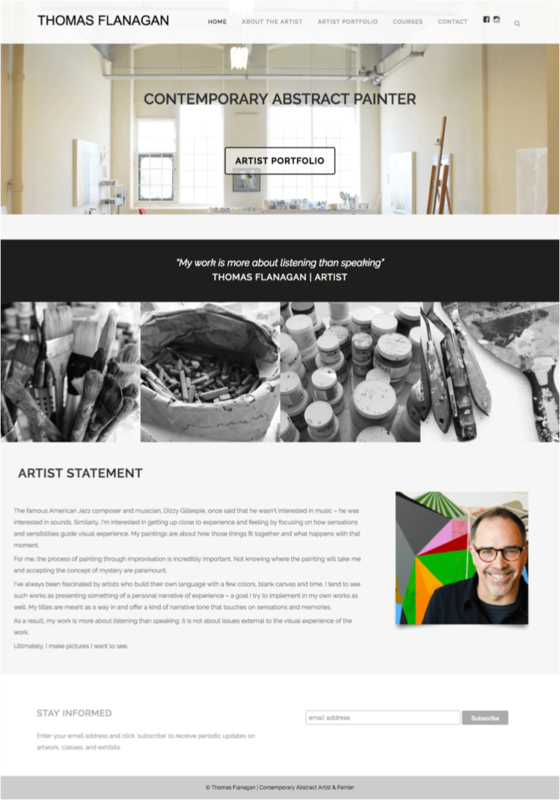 We decided to highlight his process on his home page, with a parallax scrolling image of his studio, followed by images of his materials, and then his personal statement. We incorporated his work where possible, as part of his headshots, studio images, page headers, and other imagery. In addition to the typical pages, we also added a new course page for Tom’s upcoming course in France.